Side-scroll-type action RPG set for iOS and Android. 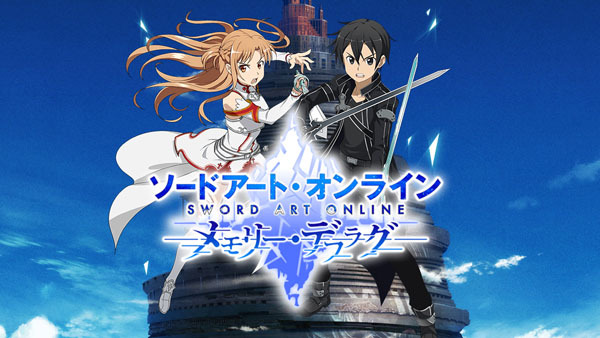 Bandai Namco announced Sword Art Online: Memory Defrag for iOS and Android devices during a Sword Art Online live stream this morning. The free-to-play smartphone game is a side-scroll-type action RPG featuring the story of the TV series, as well as an original story. Of course, boss characters from the original work and anime will also appear. It will feature easy tap and flick controls, and a deep battle system that utilizes standard attacks, parrying, switching, guarding, jumping, and more. Character actions will vary based on their equipment and traits. You can also take on quests other players. Watch the first trailer and gameplay below.